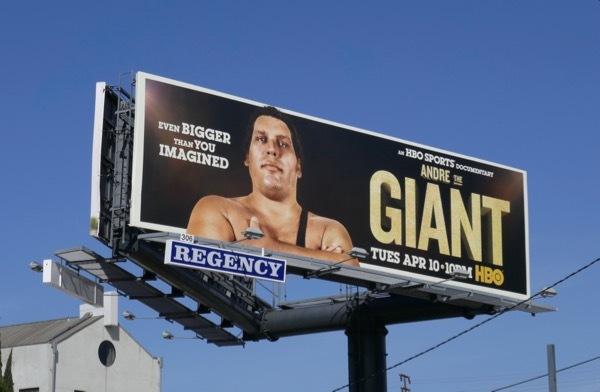 Sometimes a billboard simply stands out for its subject matter and these billboards for the HBO Sports documentary, Andre The Giant, are just such an example. 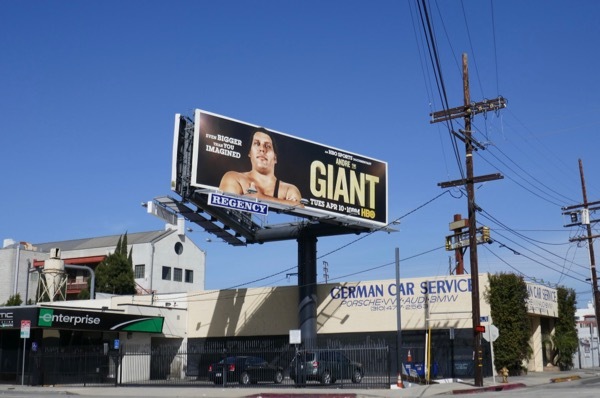 You could even say that these are head and shoulders above the others (pun intended). 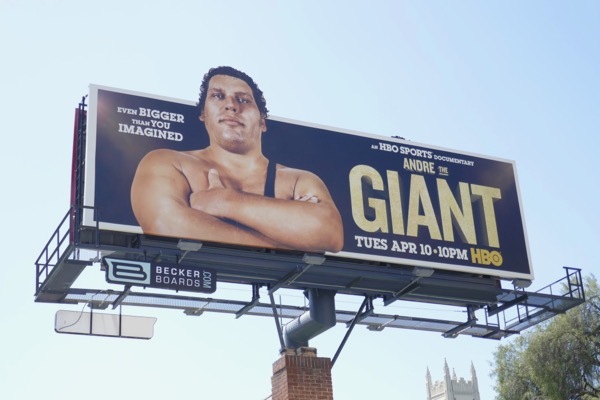 Maybe it's childhood memories of the French professional wrestler, André René Roussimoff, battling in the WWE ring with Hulk Hogan in the 80s, or maybe it's from his acting career and most notably as 'Fezzik' the giant in 1987's The Princess Bride, that make you want to know more about his life. 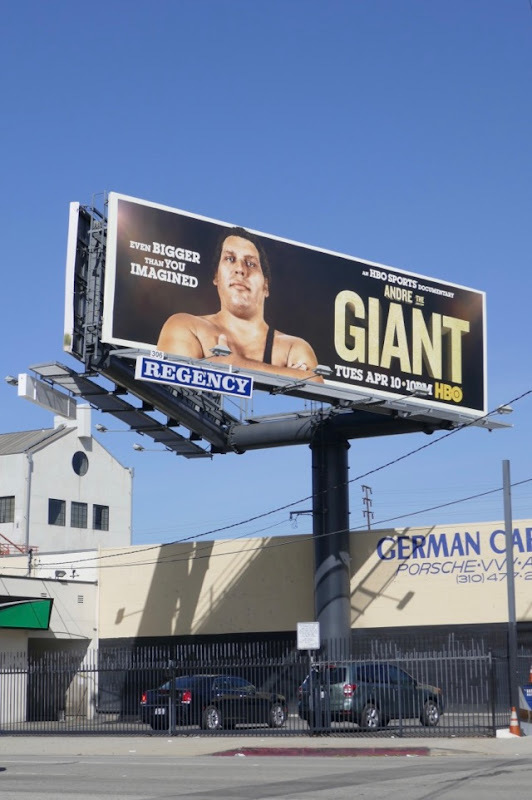 These imposing landscape and special extension cut-out billboards were snapped towering over Highland Avenue, Olympic Boulevard and Robertson Boulevard from March 29 to April 9, 2018. Let's hope this nostalgic look at the beloved man-mountain's myth leaves you wanting to make the most of your own life, no matter your size or shape. 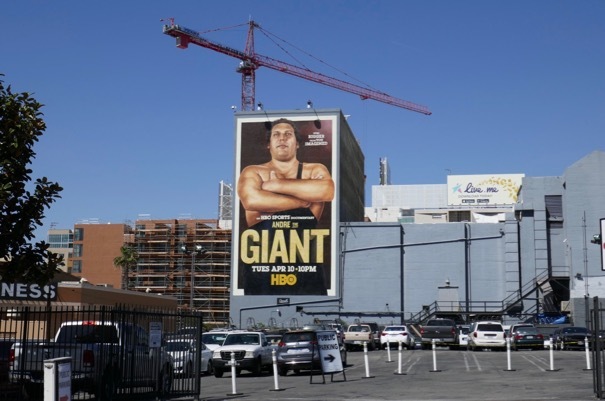 UPDATED: Here's another great billboard example which uses the advertising medium to great effect for this documentary. 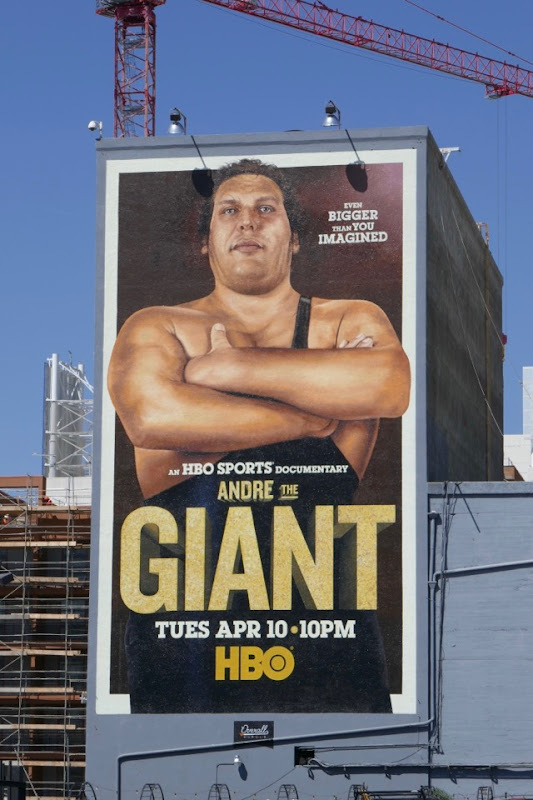 This wall mural ad was spotted along Gower Street at Hollywood Boulevard on April 10, 2018.